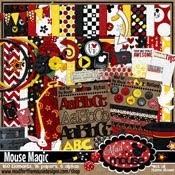 I haven't been participating in alot of challenges at MouseScrappers for awhile. Just lots of things happening around here. 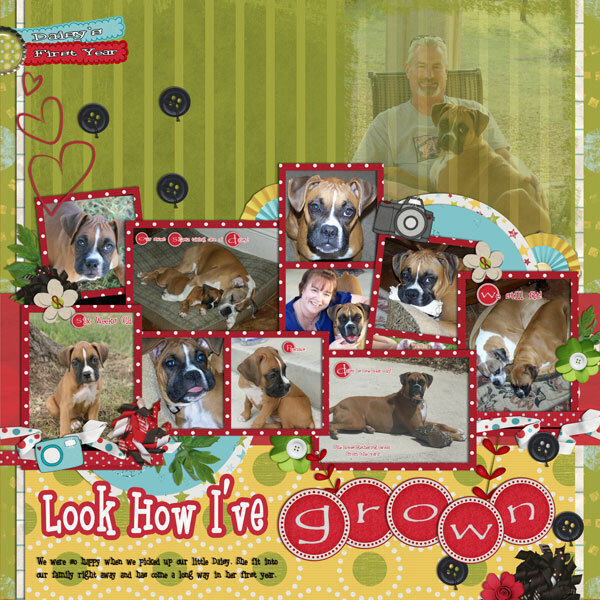 I did get to finish a template challenge and here is my layout. 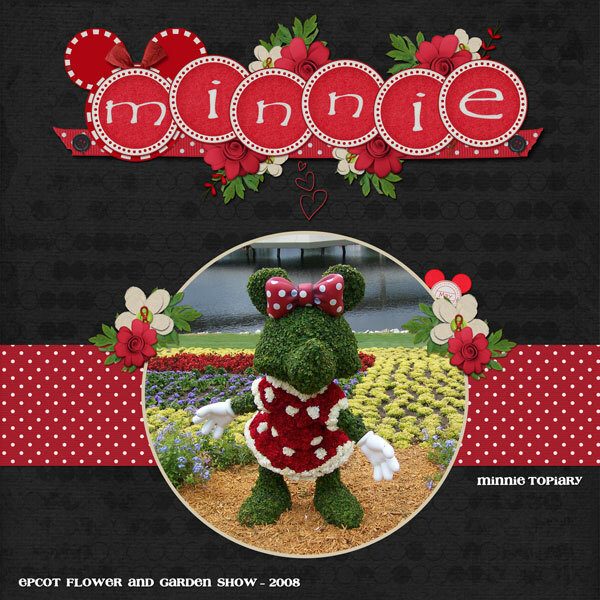 I used the new kit from Natalie's Place Designs called Bountiful Harvest. Thanks for dropping by and I hope you have a wonderful week! 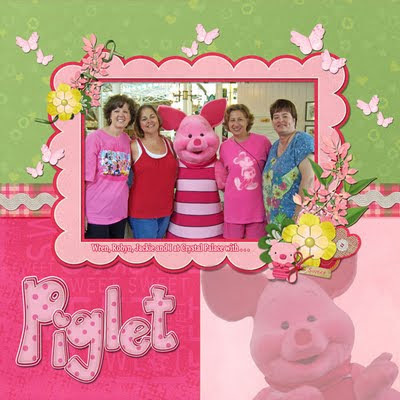 Keystone Scraps has a sweet little mini kit today for MINI-MONDAY that was inspired by a certain sweet little piggy!! 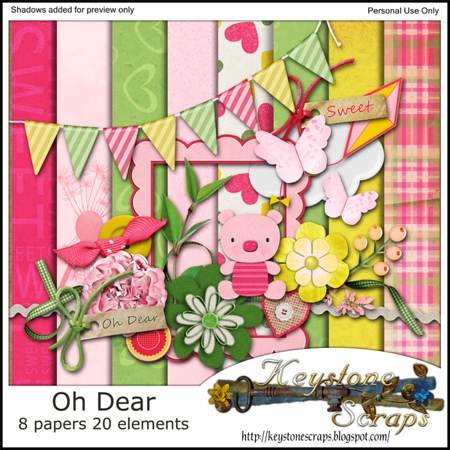 This sweet mini kit with its fresh springtime color palette will quickly become a favorite in your scrapping stash! 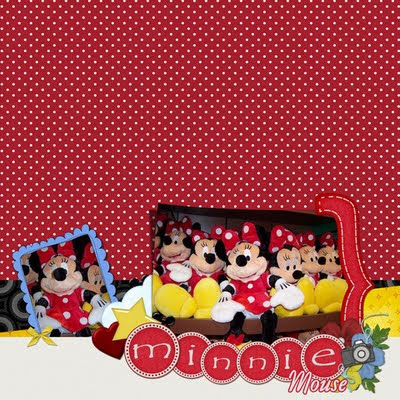 It's perfect for character photos, girly pages, flowers and spring... the possibilities are endless! You can pick it up today for only $1.99 exclusively at Keystone Scraps! 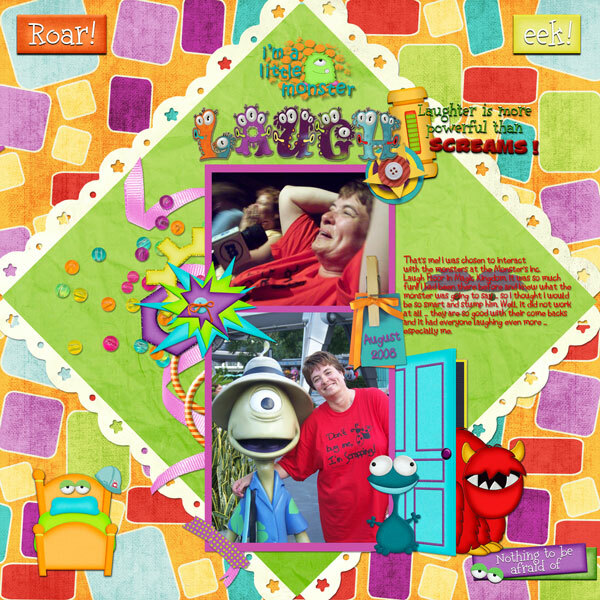 Take a look at this page I made... for a little inspiration! 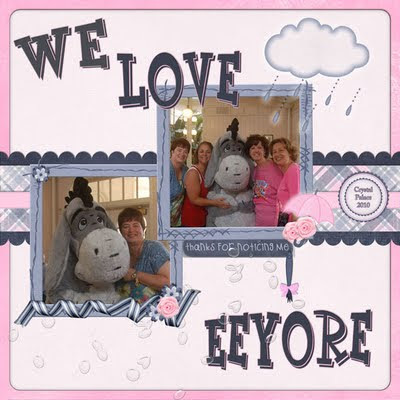 All us girls at Keystone Scraps want to thank EVERYONE that participated and joined in the fun over at Mousescrappers over the weekend during our Mini-Monsterthon!! The pages were amazing... and the company was even better!! It's too bad that everyone wasn't able to make it. But life does sometimes get in the way of scrapping. So if you missed part of the marathon.... or missed it all together.... you can still get the adorable kit that was given away over the weekend! All the parts to the kit is available individually as well... so if you got it all but say the papers... no problem! You can pick them up, and complete your kit! Not That Scary- the Bundle is available for $5.99 in the Keystone Store! You get the full kit with 7 (count em! 7!) alphas, the Word Arts, the Splotchy clusters, and the template set! Its a big, fun, and colorful addition to your scrapping stash! 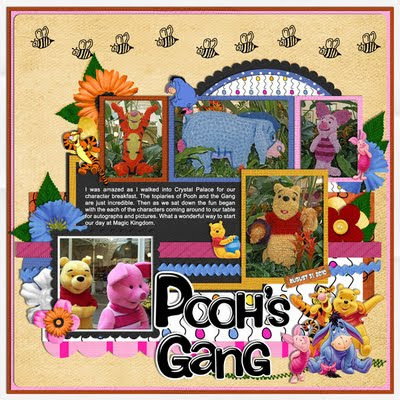 Here's a close up of the kit.... how many fun pages can you make of your little monsters with these ones??? The kit is just $3.99!! Need a little inspiration??? Check out this page I made! Do you want another little goodie??? Well.... head on over to Keystone Scraps Blog! 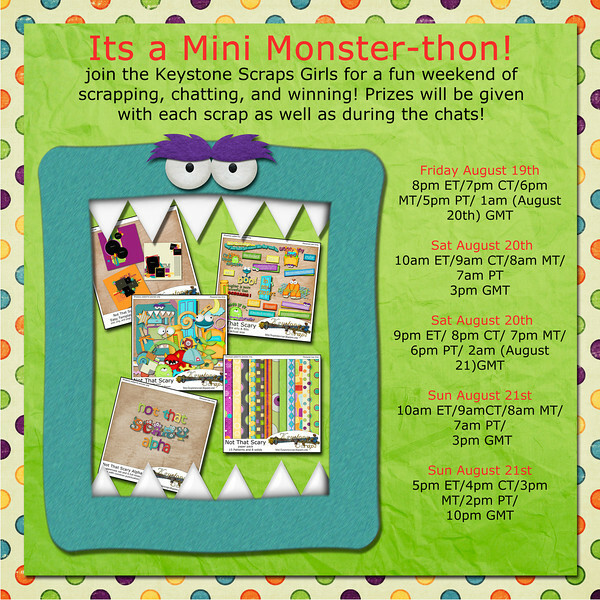 You'll get to see a whole bunch of fabulous pages created by speed scrappers at the monster-thon using Keystone Kits! 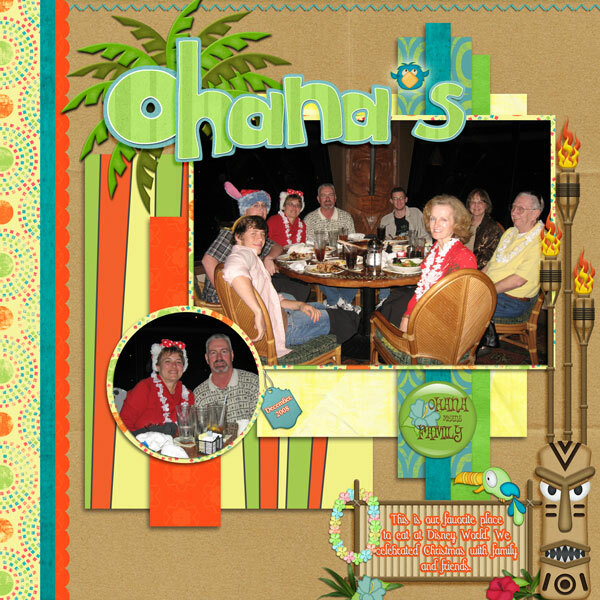 While you are there.... be sure to pick up the quick page that Paula made for you out of one of her speed scrap pages!! Use an even number of photos ... and let's line them up in some fashion. For each patterned paper use two solid papers, yes, you have to use at least one pattern paper. As my layout journaling shows ... what goes around comes around so use some circles on your layout. Since I'm so happy to be hosting my first speed scrap ... use an alpha that is fun and makes YOU happy! I am not the best at journaling, but I love when someone challenges me to do so ... yea, you've got it! I'm going to challenge you to journal and just tell a bit about what is happening in your layout ... at least two sentences. Let's scare up some word art for this creative layout you are doing ... two WordArt elements or two word strips -or- both ... eek! We're going to tie this speed scrap up in a pretty package so use some ribbon or string on your layout. 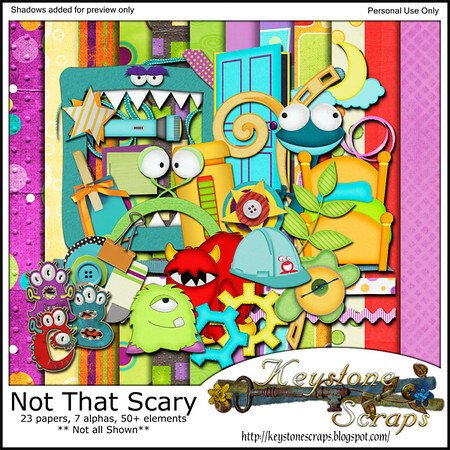 Here is my layout for the Speed Scrap using "Not That Scary" from Keystone Scraps. Don't forget to come join Keystone Scraps and their CT tonight as we start our mini Monster-thon Speed Scrap at MouseScrappers. It's gonna be fun!!! If you aren't sure just what a Speed Scrap is ... then look at my blog post below for a few short explainations ... then come join us! 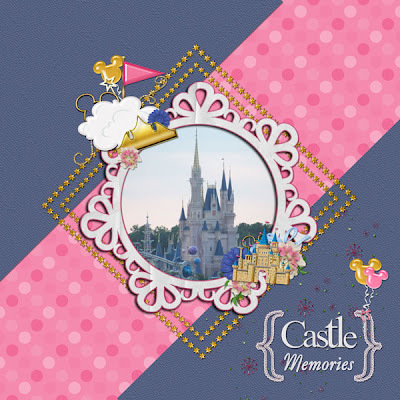 We have for you an amazing kit to scrap those special moments at Walt Disney World, Disneyland, or any other special memories you have! If you need a little inspiration on what can be done with this kit ........ check out what I made using it! For the layout below I used Cindy's Templates - Half Pack #12 by Cindy Schneider and Remember the Magic by the awesome Keystone Scraps. As you can see, you do not have to scrap just Disney ... although we did name our sweet puppy after a Disney character ... Daisy! Be sure to check out the creative teams blogs and see all the wonderful little freebies you can snag to match this kit! You can get links to all the girls blogs at Keystone Scraps! Here's one for you from me! 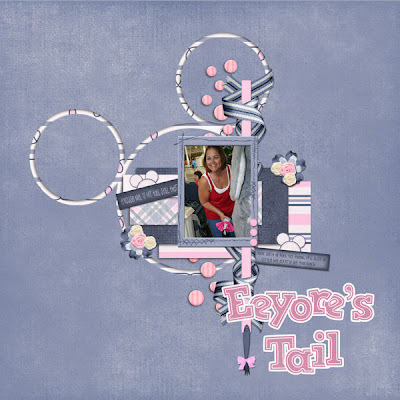 Come Join Me as I Host My First Speed Scrap at MouseScrappers!!! 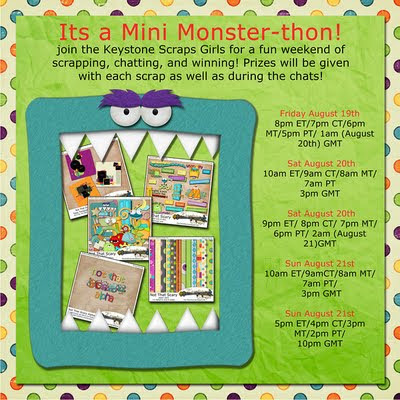 Keystone Scraps is hosting a Mini Monster-thon Speed Scrap this weekend at MouseScrappers and I am so excited about hosting my first Speed Scrap challenge! There will be 5 Speed Scrap challenges and when you finish all five you will have the complete "Not That Scary" kit with WordArt and Templates as your participation prizes from Keystone Scraps. There will also be some surprises given away during the chats for the Speed Scraps. Come join us!! For those of you who aren't familiar with what a speed scrap is ... well, the Speed Scrap will consist of 7 instructions, i.e. use an even number of photos, use staples or brads on your layout ... instructions like that. The instructions are given at the top of the hour and then every 10 minutes during that hour. 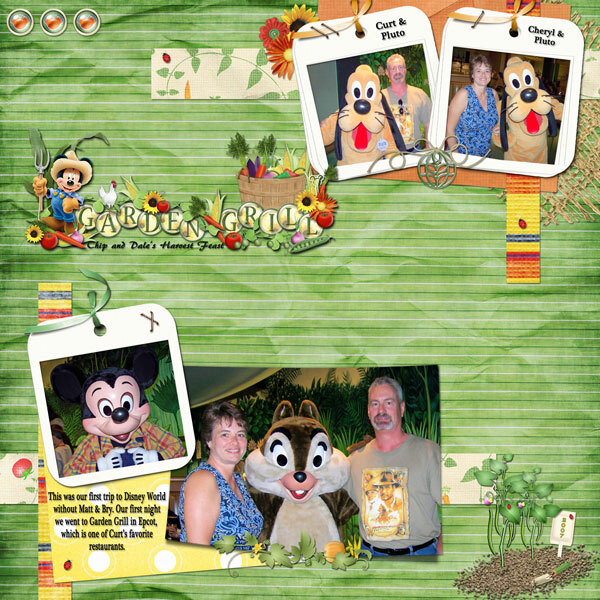 The layout should be Disney related since we are on MouseScrappers and you can use any kit you want to ... just follow the instructions on the content. You are then given 4 hours to complete your layout and post it to the Speed Scrap gallery. Now on top of all that fun you get a participation prize and just look above to see what goodies Keystone Scraps has created for you. Yes, I know, they are awesome! This kit they designed for the marathon is just so cute! 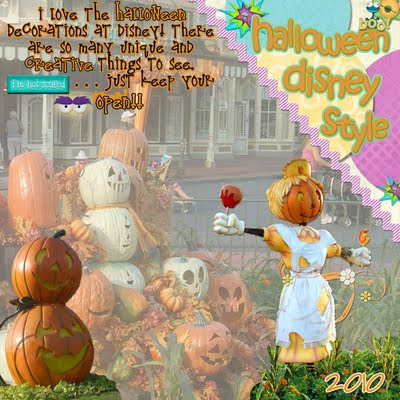 Isn't this just the cutest "Not That Scary" WordArt pack! 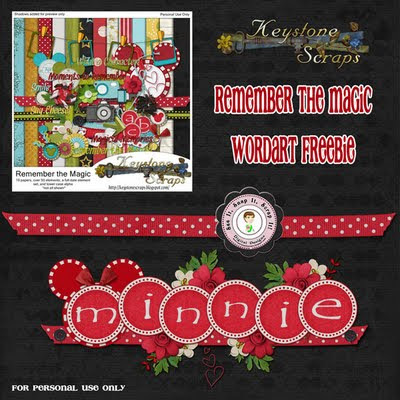 Please come join us at MouseScrappers starting on Friday, August 19th and stay til the end on Sunday, August 21st to collect this adorable and fun kit from Keystone Scraps. Plus, you can go to Keystone Scraps blog and sign up for their newsletter. You get advance notice of their new kits, discounts, and some extra goodies. 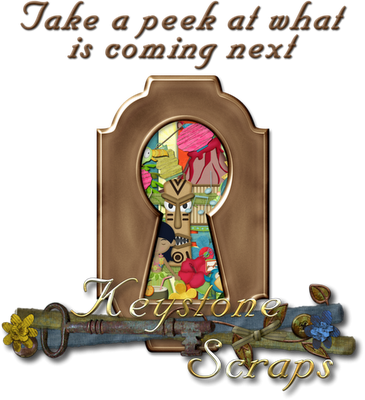 Thanks for stopping by and have a wonderful week ... oh, don't forget to stop back by on Wednesday for a magical new kit release from Keystone Scraps ... you will be so glad you did! 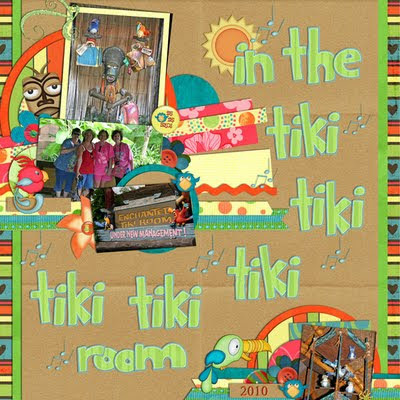 Come back on Wednesday to see this fun kit from Keystone Scraps. Follow along on this Disney blog hop ... 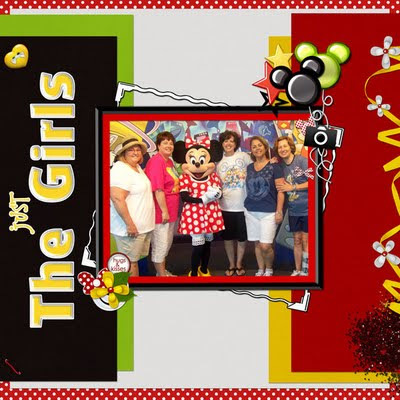 I just love seeing others Disney memories and favorites! We are having a fabulous time over at Keystone Scraps!! So we decided to get our party on... and celebrate with a little tiki magic!! We came up with a really fun, summery, tropical kit to roll into August with! Bright tropical fruity colors, fun Polynesian elements, and a fabulous alpha make up a perfect kit to scrap all those tropical memories! No matter if you are scrapping photos from a Hawaiian Luau... or a pool party in your own backyard..... or of course those adorable Disney Tiki Birds or Polynesian Resort, you will have lots of fabulous page possibilities with this kit! Take a look at what I made! Pick up this fun kit exclusively at the Keystone Scraps Store for just $3.99! Do you subscribe to the Keystone Newsletter?? Newsletter Subscribers are getting a discount on this new release!! Be sure to stop by the Keystone Blog and sign up today, so you don't miss the next discounted new release! There are all sorts of fun freebies that have been created using this kit... and also extras that coordinate with it as well!! Be sure to stop by the CT blogs and check them all out! Be sure to visit them and see what goodies they have on their blogs! Here's a little goodie from me for you as well! I used the new kit Rainy Day by Keystone Scraps. Thank you for dropping by! We decided to try out something a little different!!! On select Mondays... we will be adding a new Mini-kit to our store! Most of the time, Mini Mondays will be the weeks in between our full kit releases. But well... you know us... there may be some change-ups to that plan from time to time as well!! Our 1st Mini-Monday Kit, was a former prize at Mousescrappers... its really cute and perfect for scrapping that special donkey... or those less than 'perfect' days too!! Its available in the store for just $1.99! So if you missed out on this little gem before.... now you can add it to your stash!! Take a look at this cute page I made!